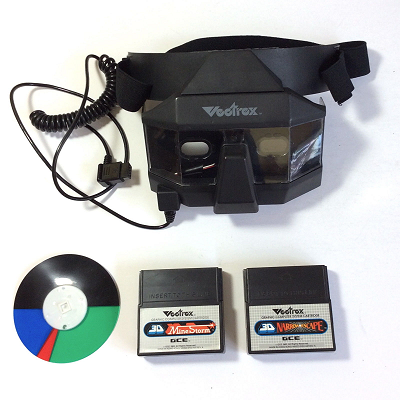 The rare and impressive virtual reality contraption for the Vectrex, the aptly named Vectrex 3D Imager, has once again appeared on eBay to let retro gamers experience true vintage stereoscopic graphics. The auction is all about a fully tested and working Imager head-gear and two games: 3D Mine Storm and 3D Narrow Escape. Seller ships to the United States, Europe, Canada, Japan and Australia.